As recently as last year, researchers published evidence in the Proceedings of the Natural Academy of Sciences that animal testing does not prove the safety of everyday products such as household cleaners, cosmetics, and baby food. Yet more than 100 million animals per year are poisoned, disfigured, and killed for our supposed welfare. Education: Although we have sophisticated biology software and human simulators, about 20 million animals are used each year for educational purposes in classrooms and medical trainings. PETA has found that companies which supply animals for classroom dissection, for instance, inflict incredible cruelty upon animals—from embalming cats while they are still alive to drowning rabbits. Live animals are also widely used for “educational” purposes. Turtles are hit with hammers and drilled into so that their hearts can be observed and manipulated. Millions of rats and mice are tortured with starvation, electrocuted, and manipulated with drugs. In military trainings, goats and pigs are shot, blown up, burned, or otherwise dismembered. All of these animals either die from these invasive, cruel procedures or are eventually killed once they are no longer of use. Cosmetics and Household Items: Though there are a number of effective cruelty-free methods available to test items like toothpaste, cleaners, and makeup, U.S. companies continue to rely on horrific animal experiments to test their products. 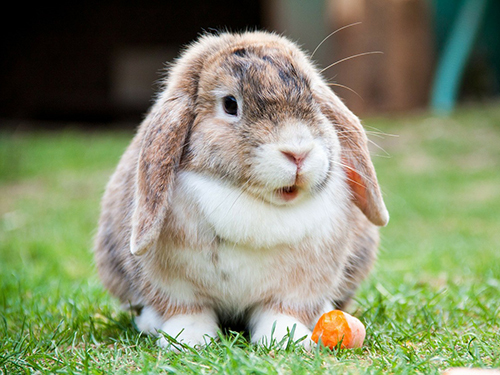 Rabbits are painfully blinded by rubbing chemicals in their eyes to see how quickly their corneas burn away. Mice, rats, and guinea pigs are forced to inhale toxic fumes. Larger animals are kept in restraining devices for hours at a time as they are subjected to these horrific experiments. In addition to experiencing incredible pain, these animals are psychologically traumatized—treated as nothing more than disposable lab equipment. Find out more about how animals are used in cosmetic testing. Medical Experiments: Universities, hospitals, pharmaceutical companies, government agencies, and other labs waste billions of taxpayer dollars subjecting animals to cruel medical experiments. Research has repeatedly shown that these tests are irrelevant to human health—and with the advent of new non-animal methods of testing, are wasting animal and human lives. In these tests, chimps, cats, and rabbits have their skulls and bodies drilled into and implanted with devices. Monkeys are forcibly addicted to drugs to watch the effects on their bodies. Rats and mice are given experimental drugs and grow huge, debilitating tumors. This is just a short list of the grotesque cruelties that animals suffer due to these wasteful and unnecessary tests. Every one of these feeling, thinking creatures is a prisoner for the entirety of its short life. You can find cruelty-free products for your children and homes through PETA’s Cruelty-Free Guide, LeapingBunny.org, and Generation Veggie’s Products We Love features.